The Alan Gilbert Learning Commons is a 21st century learning environment at the University of Manchester. The landmark building was designed to encourage study in a stimulating and comfortable environment that is available to students 24 hours a day, 7 days a week. 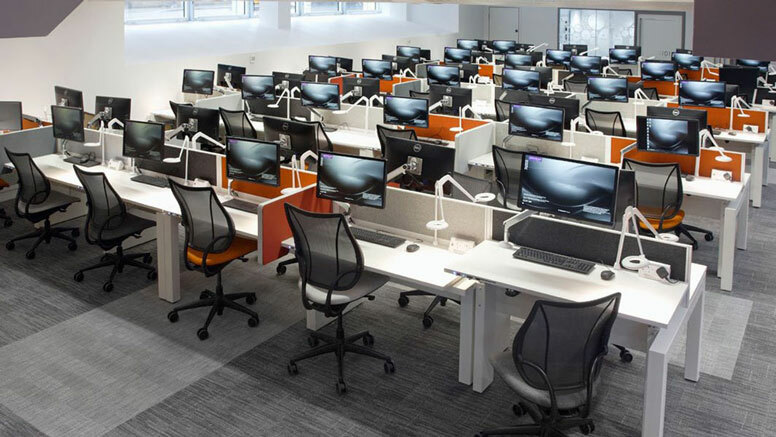 FG technology worked closely with Broadstock Office Furniture Ltd. to deliver a technology solution that meets the requirements of space optimisation, invisible cable management with full user connectivity and IT hardware security. All the desking units, plus a large quantity of soft seating and refectory furniture, were fitted with the FG technology PC remote controls. This remote unit replicates all the standard controls of a CPU tower and can be fitted directly into worksurfaces, allowing the tower to be installed securely and safely anywhere within a radius of 20 metres.